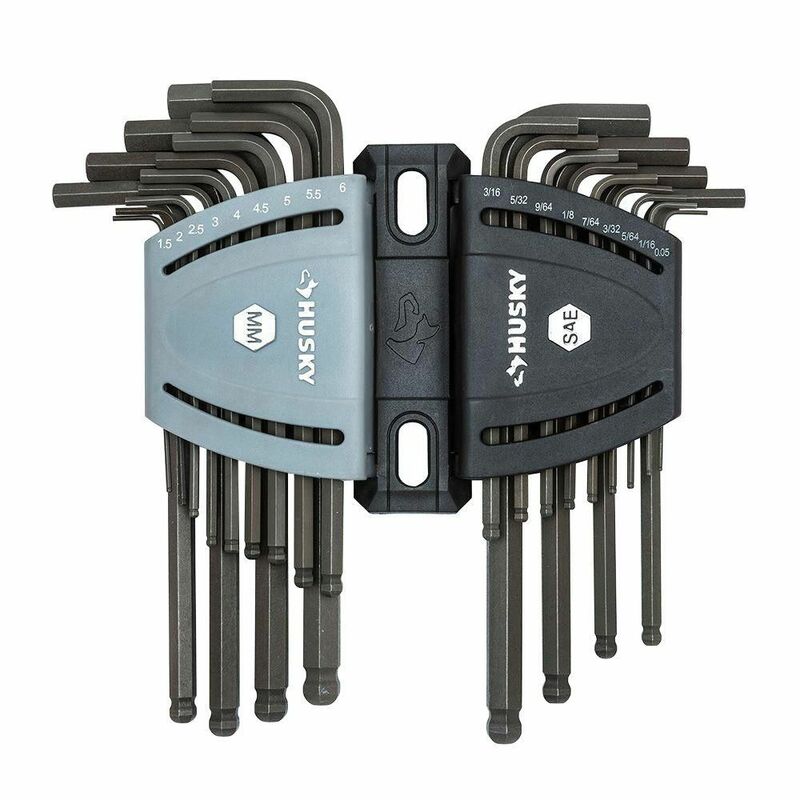 The Husky 26-Piece Ball-End Hex Key Set includes hex keys made from alloy steel for long-lasting wear and featuring a ball-end design. The hex keys resist rotational distortion and offers a variety of SAE and Metric hex keys. The finish provides resistance to corrosion. SAE/MM Ball End Hex Set (26-Piece) The Husky 26-Piece Ball-End Hex Key Set includes hex keys made from alloy steel for long-lasting wear and featuring a ball-end design. The hex keys resist rotational distortion and offers a variety of SAE and Metric hex keys. The finish provides resistance to corrosion.